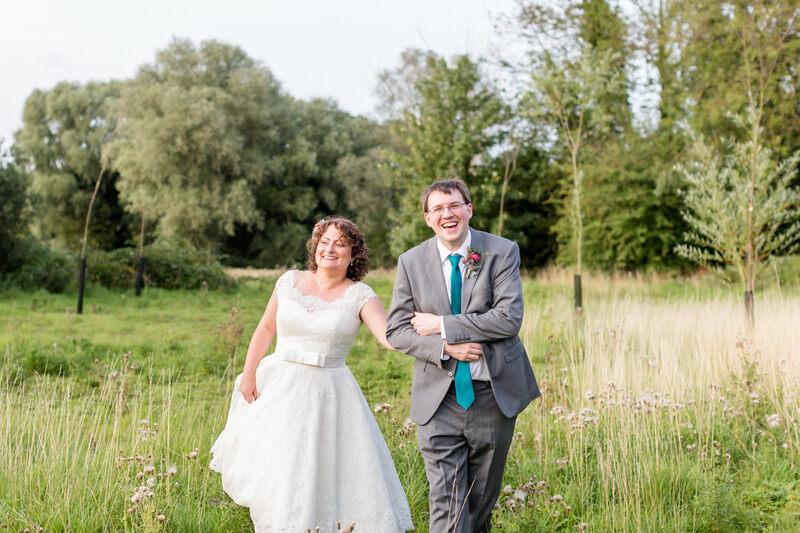 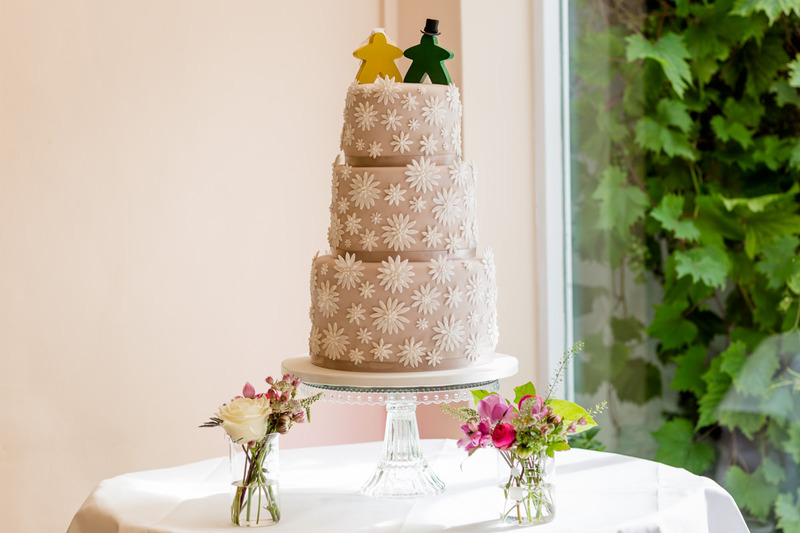 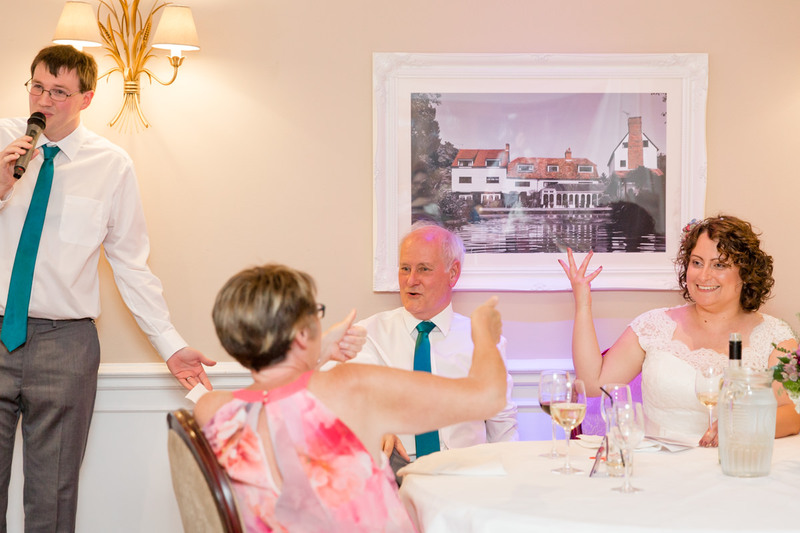 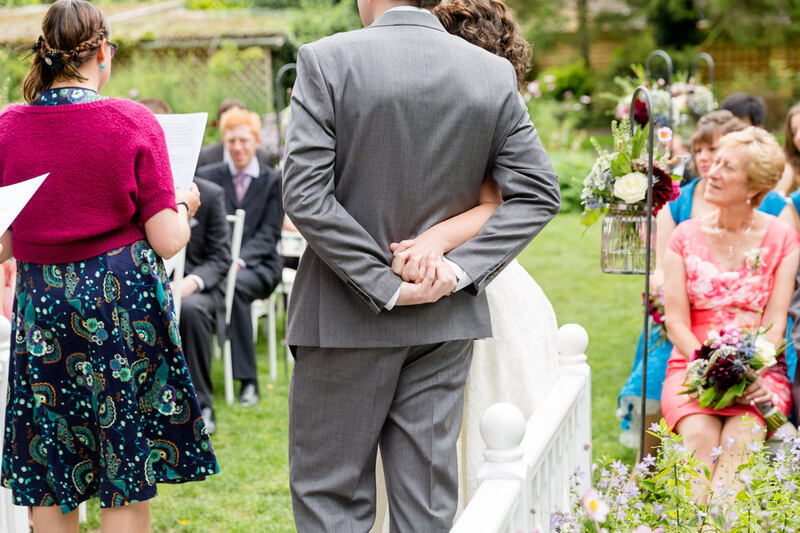 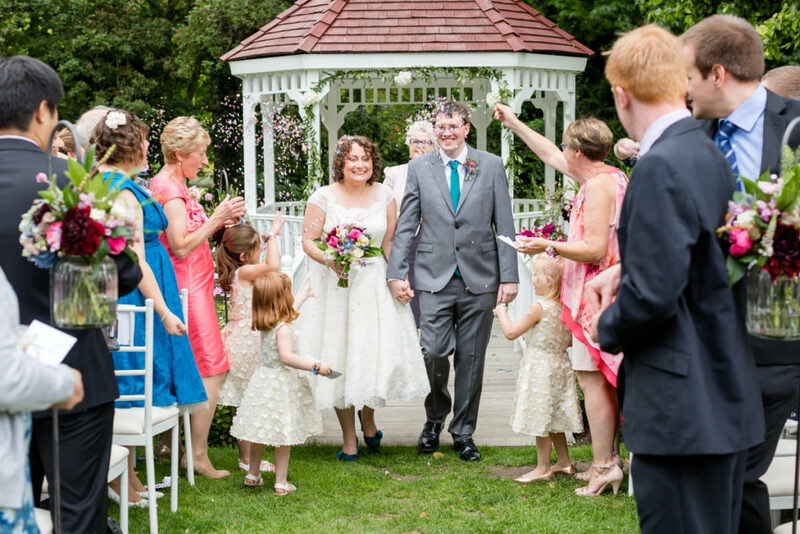 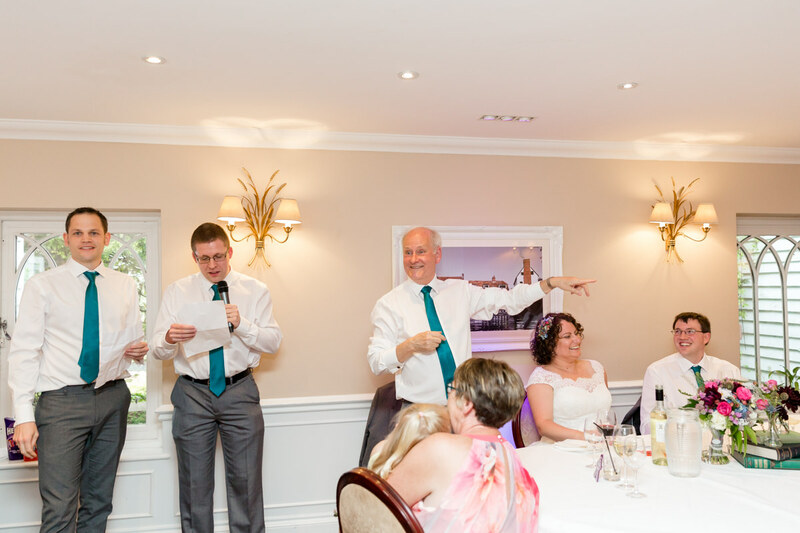 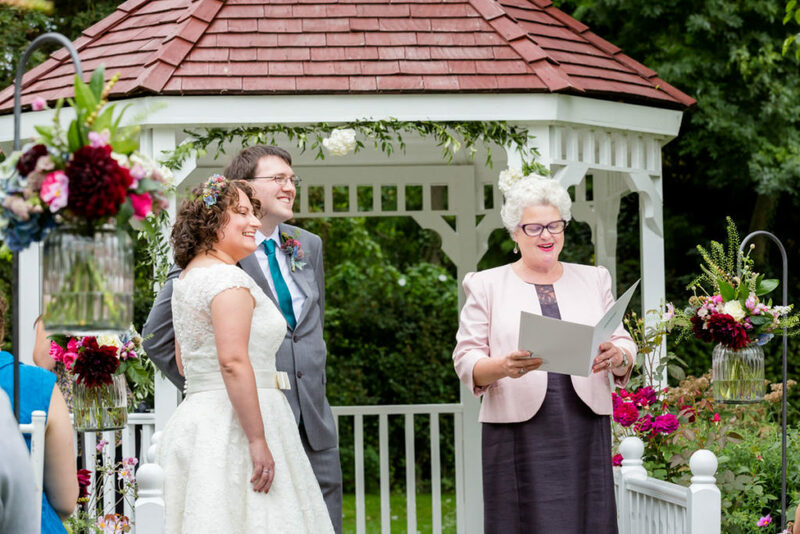 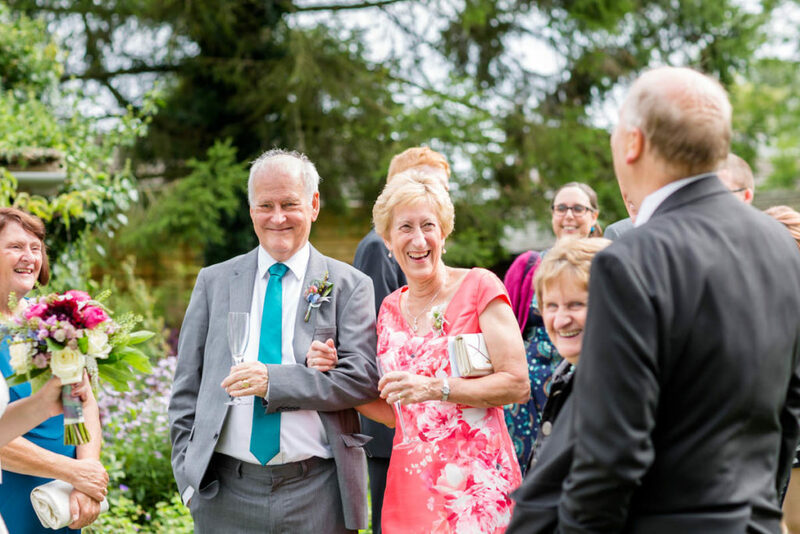 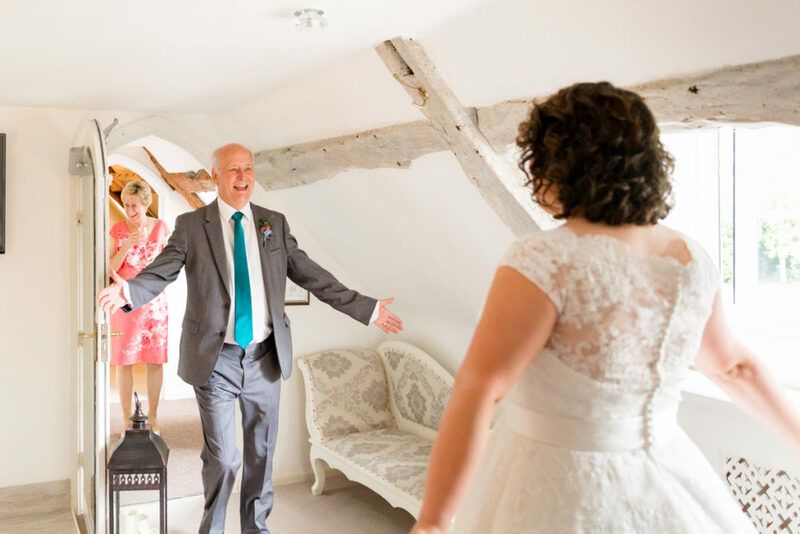 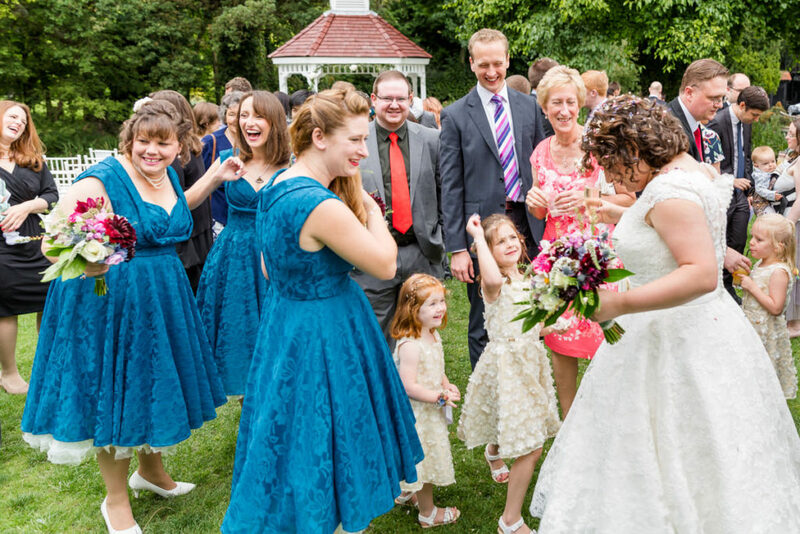 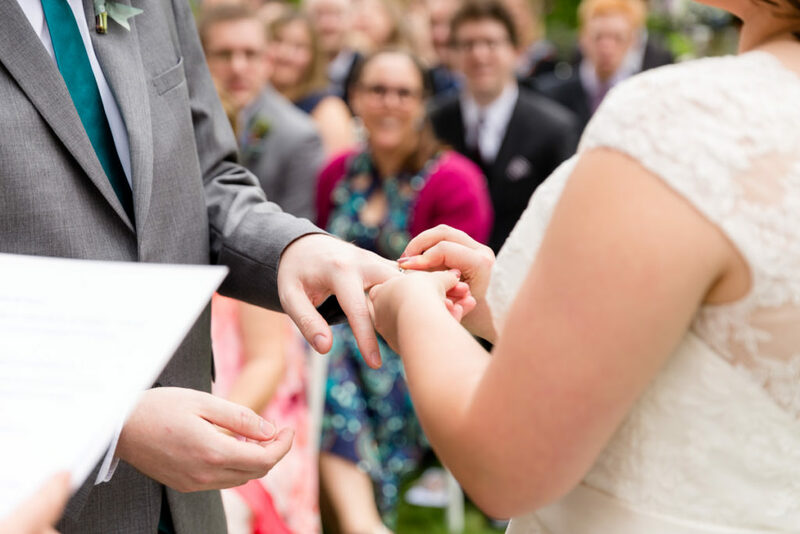 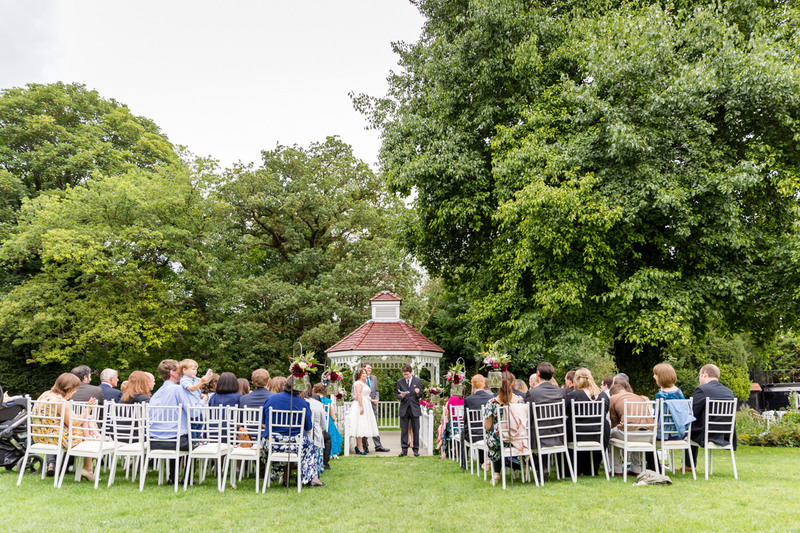 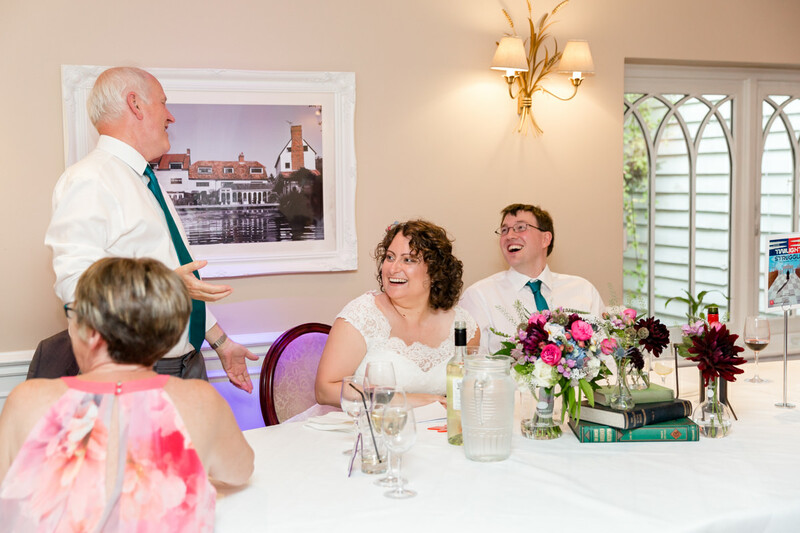 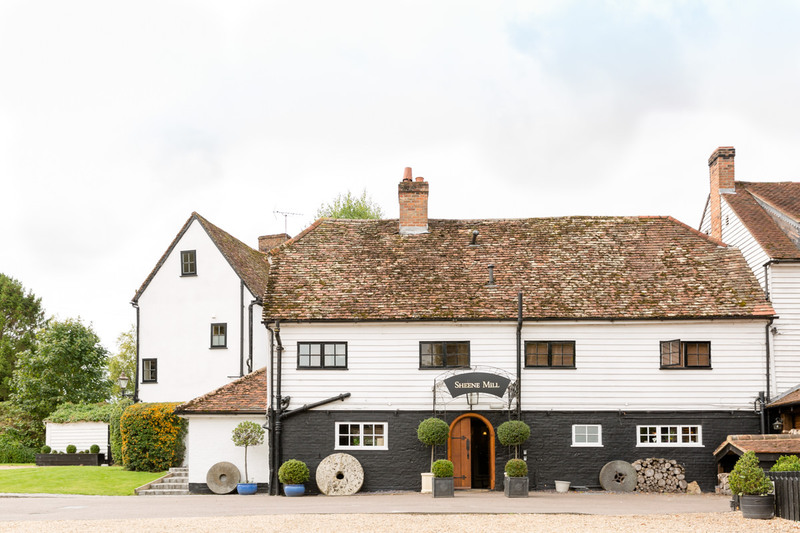 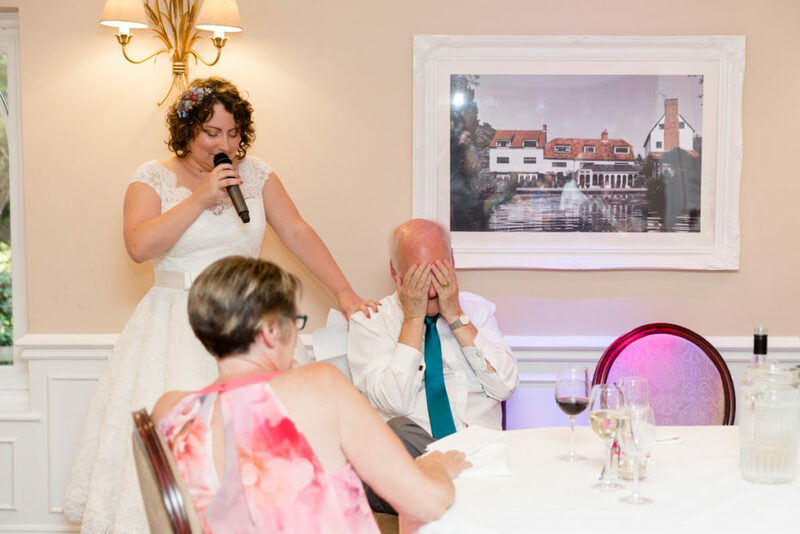 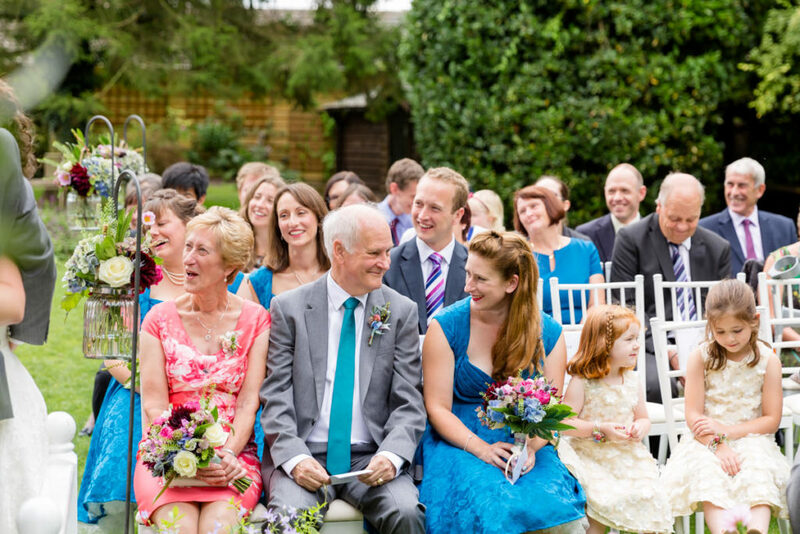 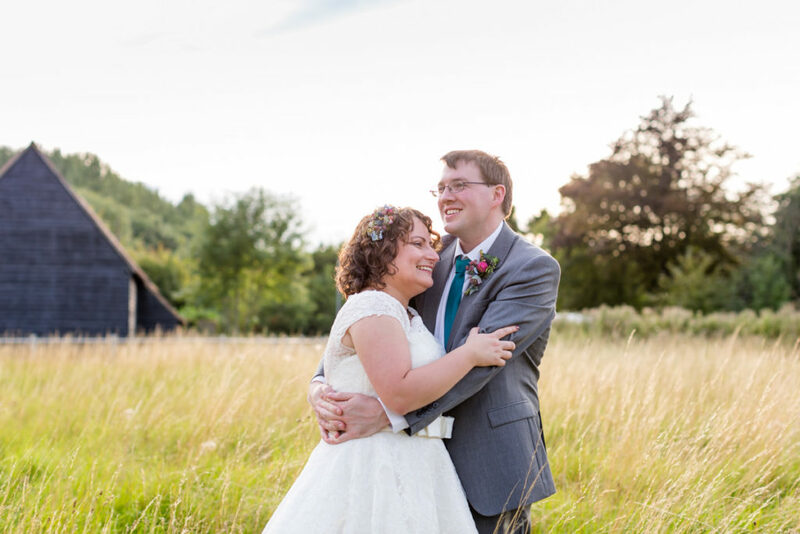 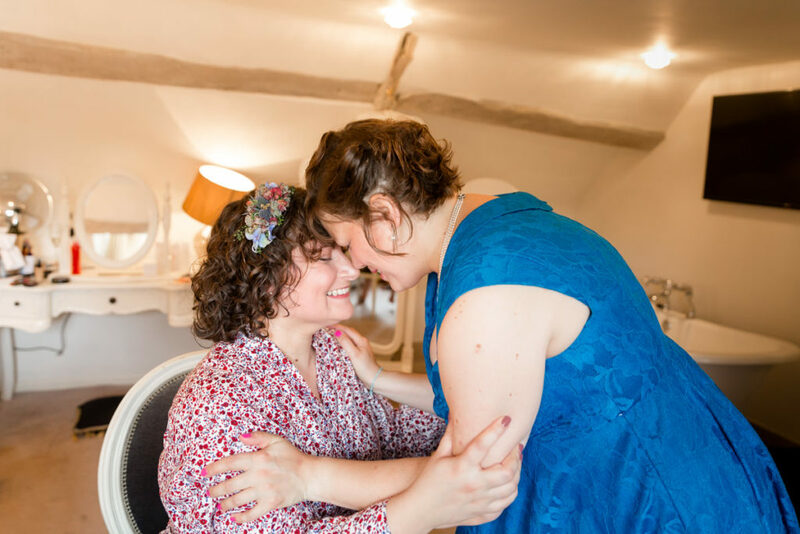 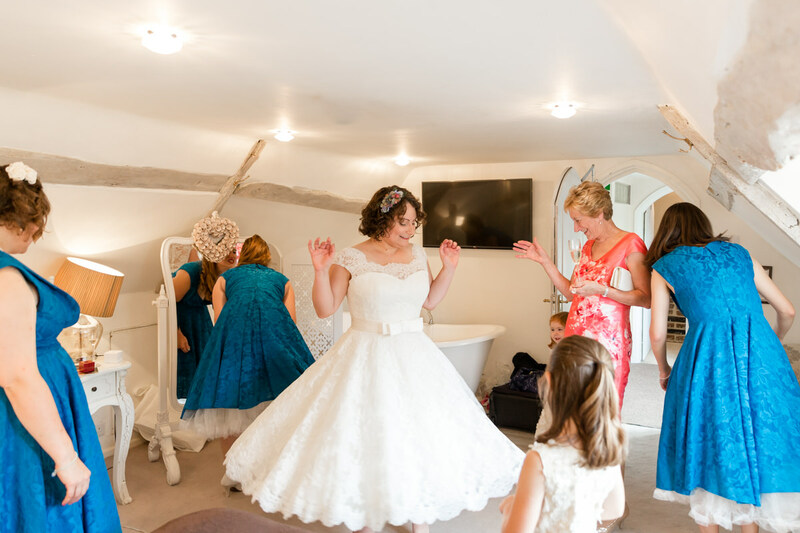 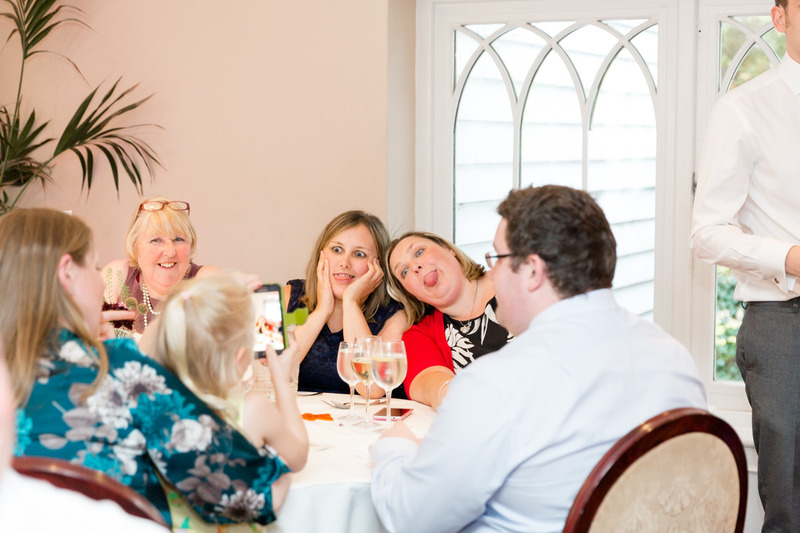 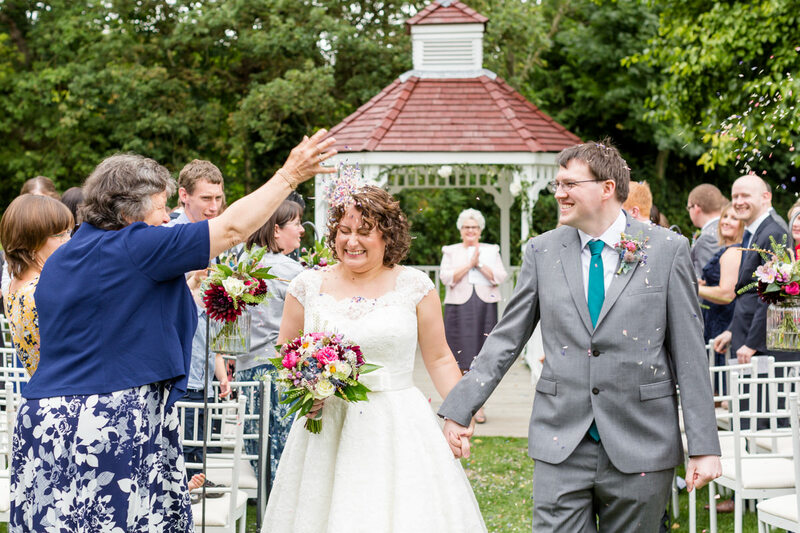 Helen & Simon had already legally married and now enjoyed a relaxed celebration ceremony by the lake at Sheene Mill, near Royston with their closest family and friends looking on. 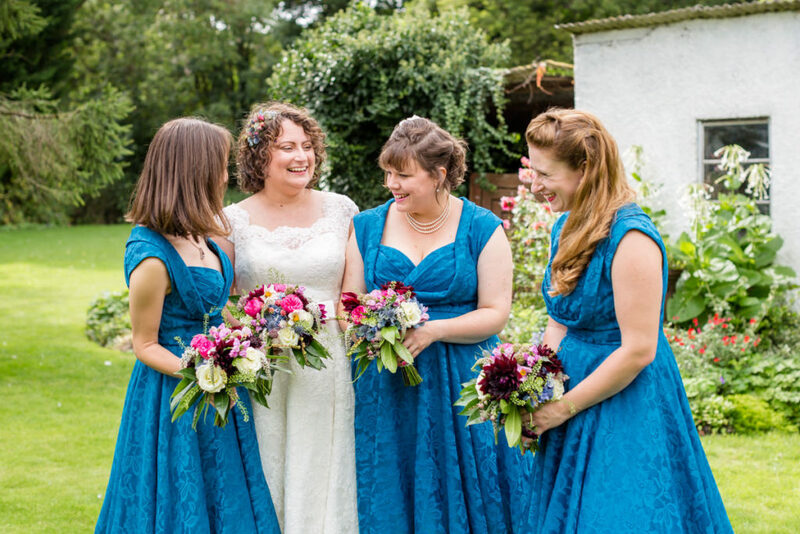 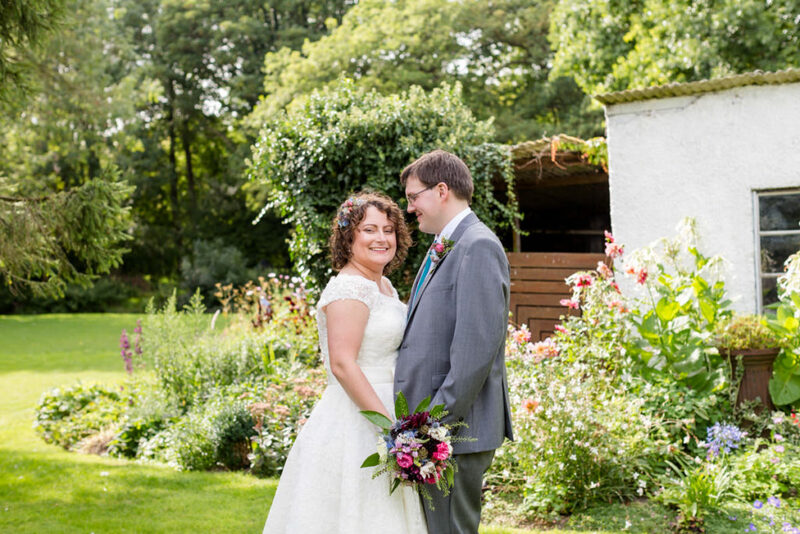 Helen looked amazing in her tea length wedding dress and the wedding florals were totally stunning, especially Helen’s intricate headpiece! 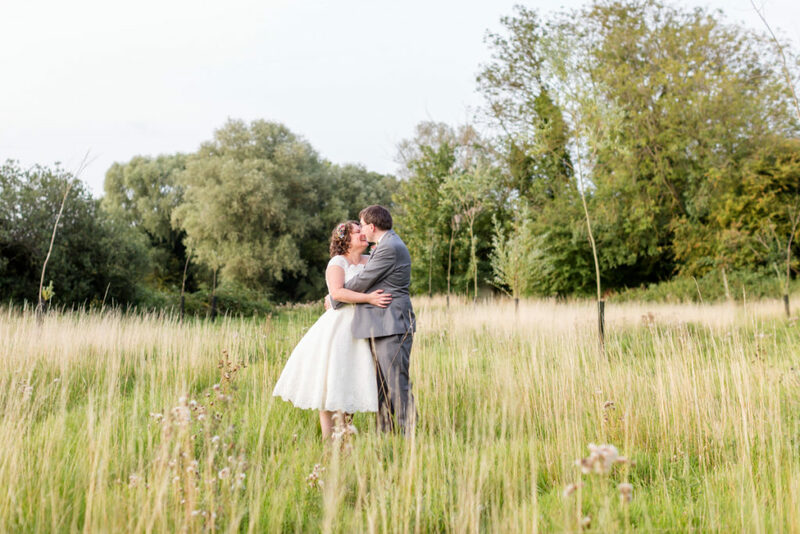 Everyone gathered by the lake as friends read readings and this lovely couple celebrated their marriage. 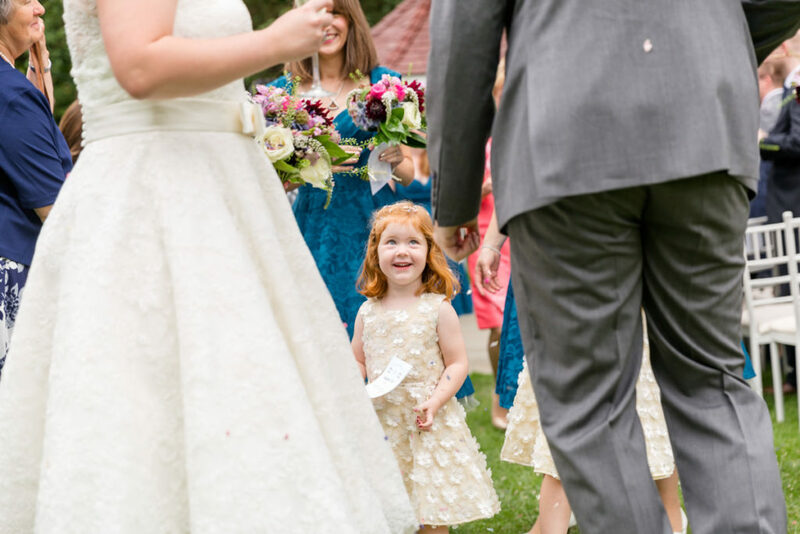 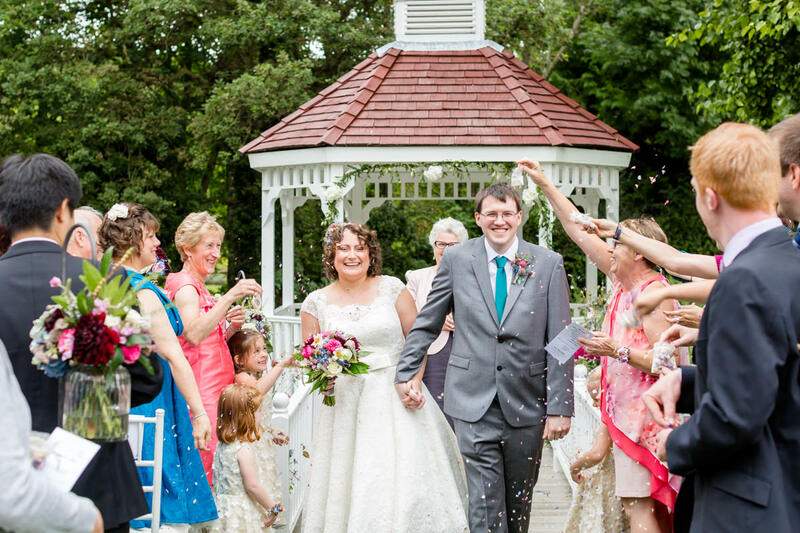 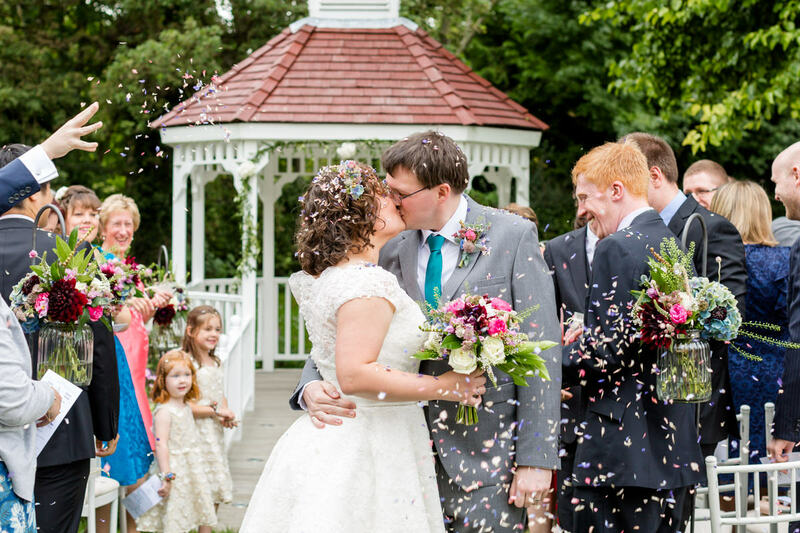 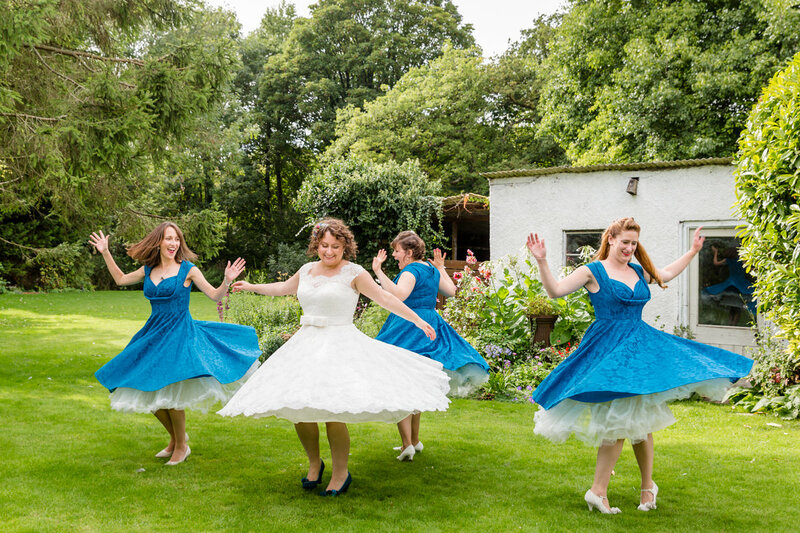 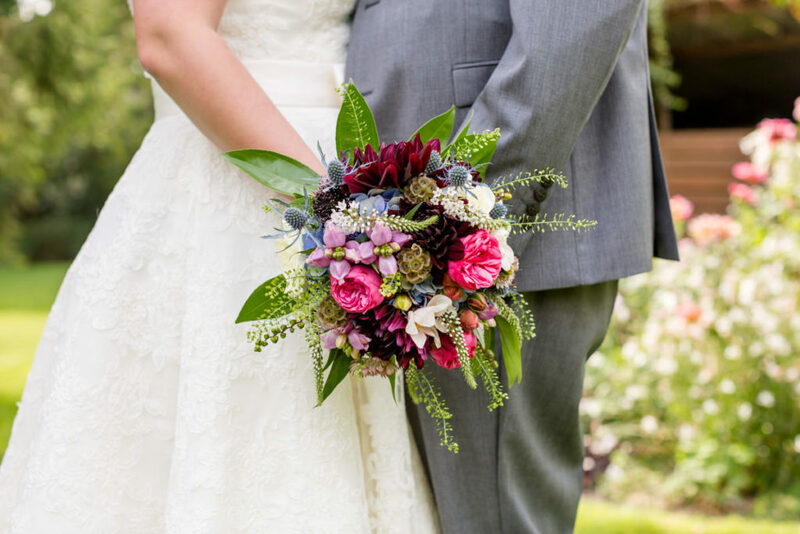 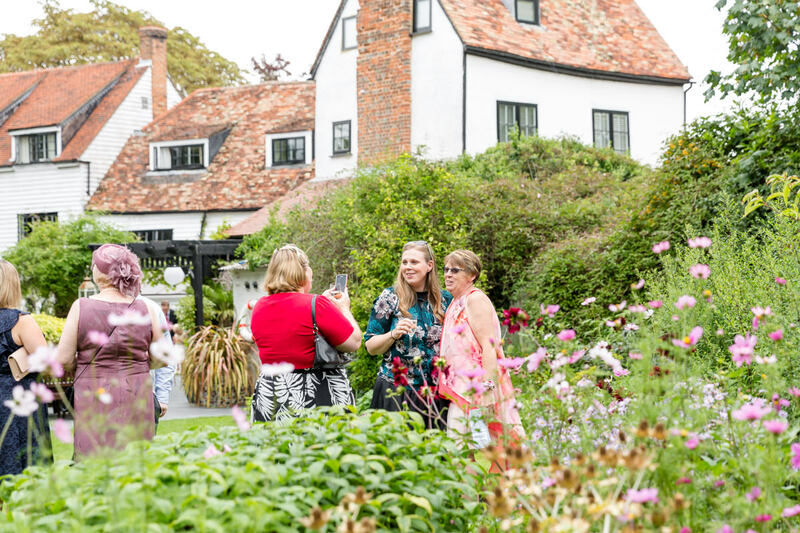 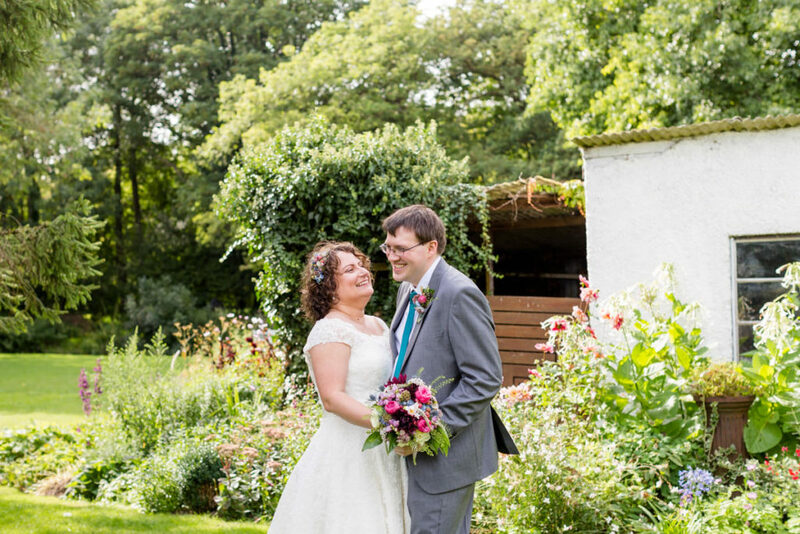 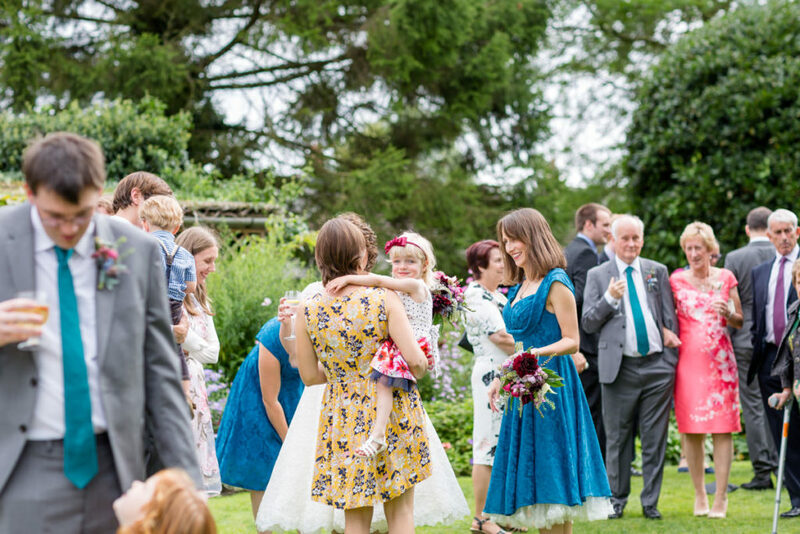 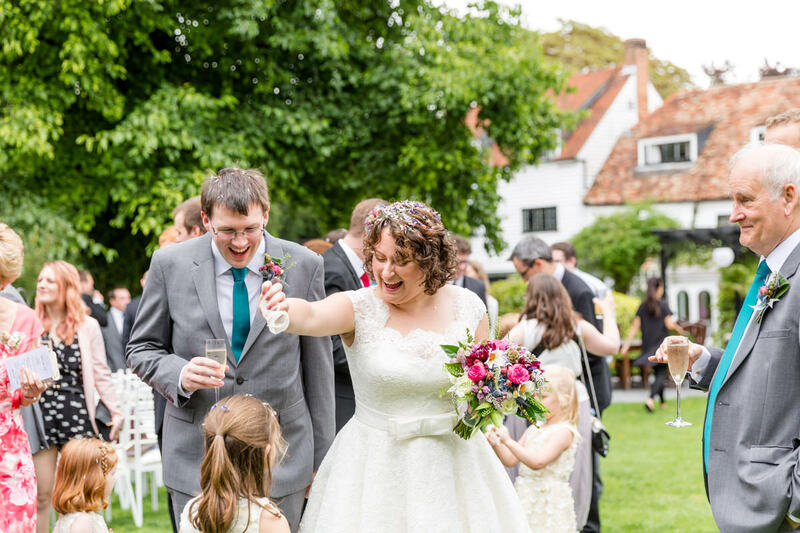 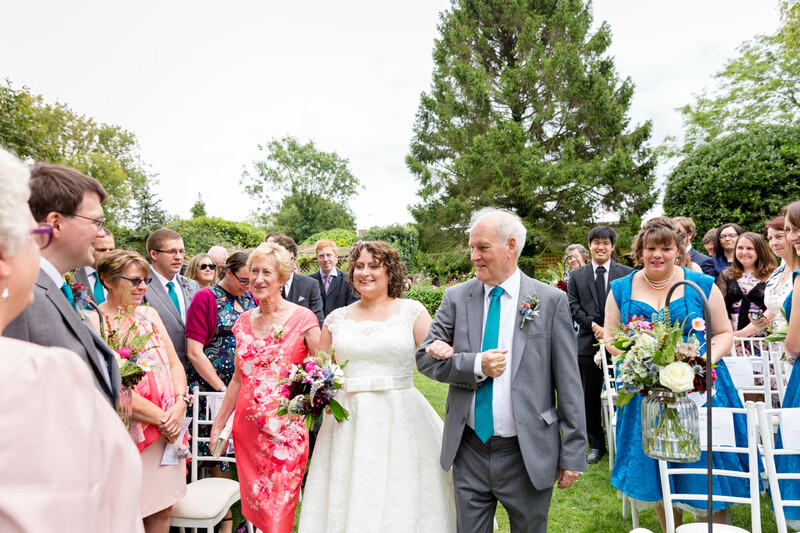 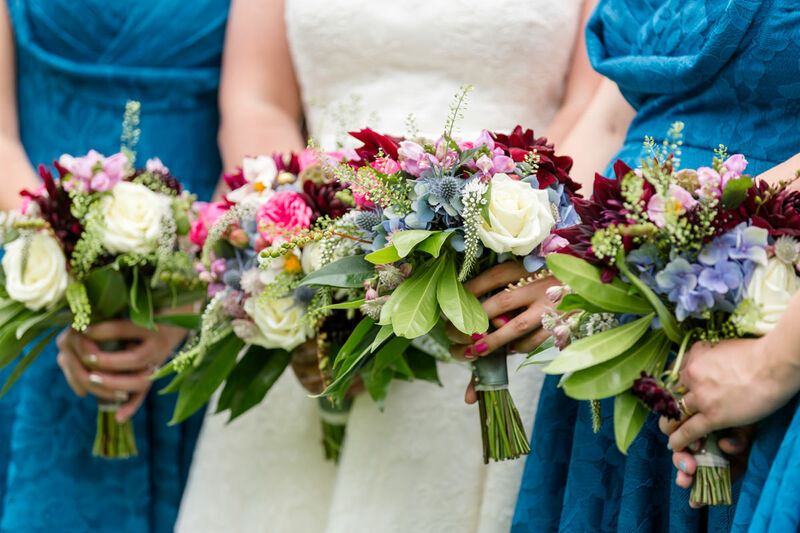 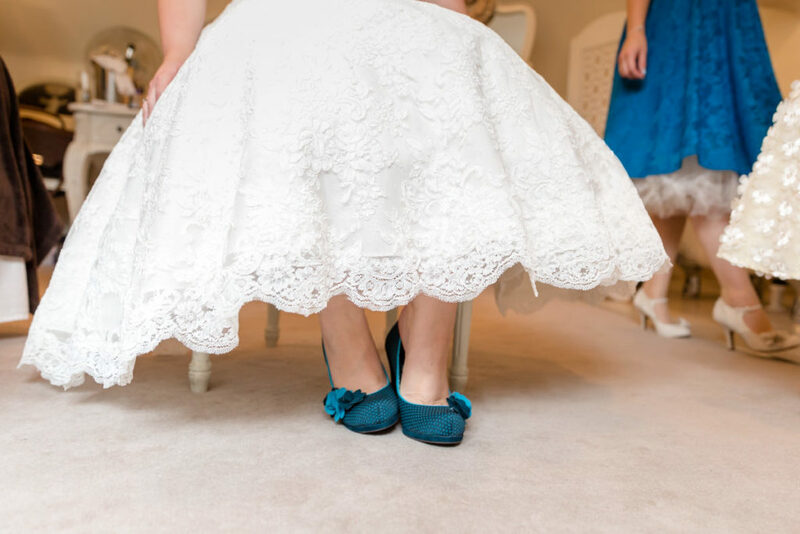 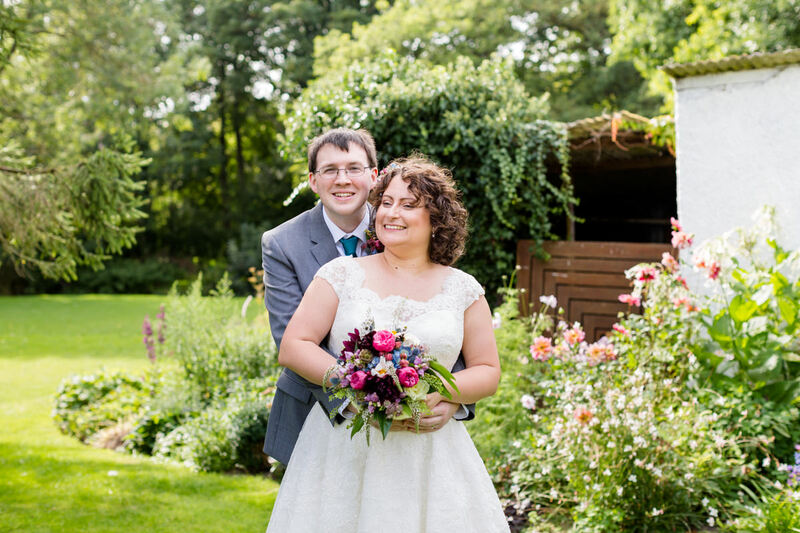 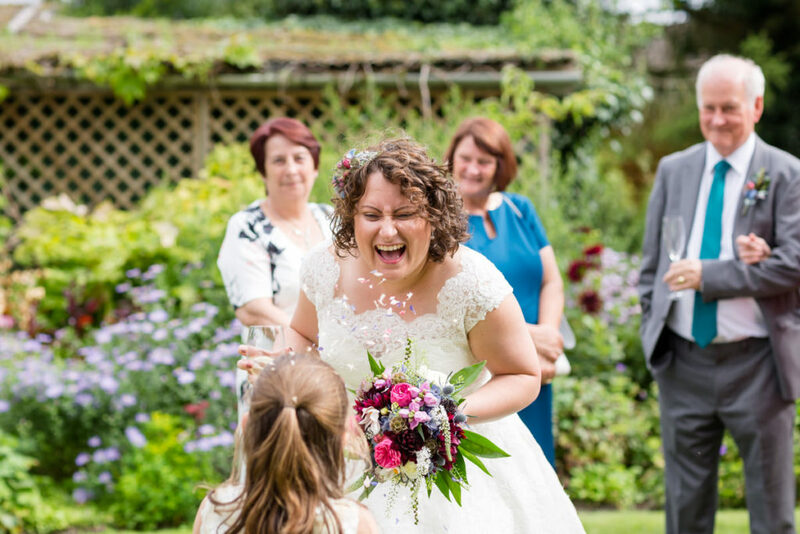 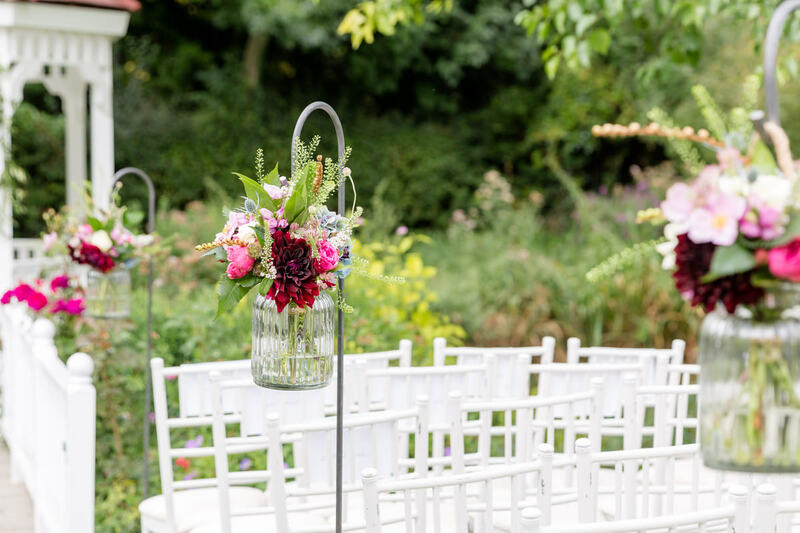 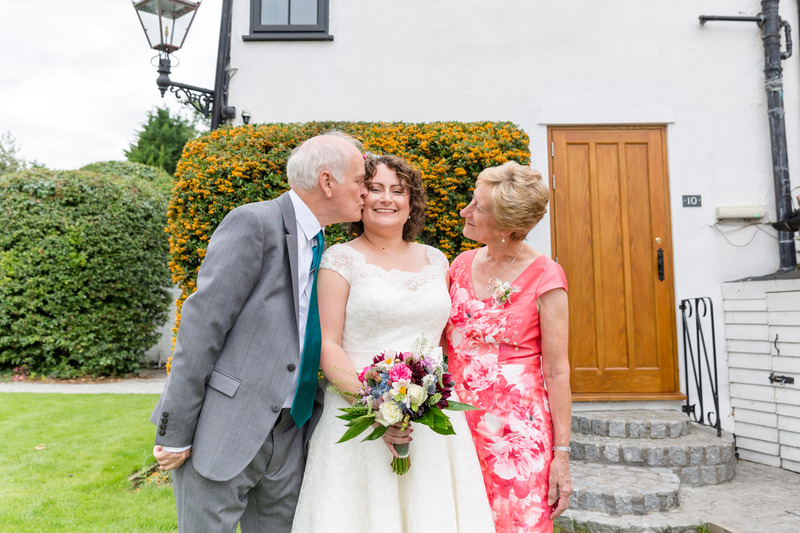 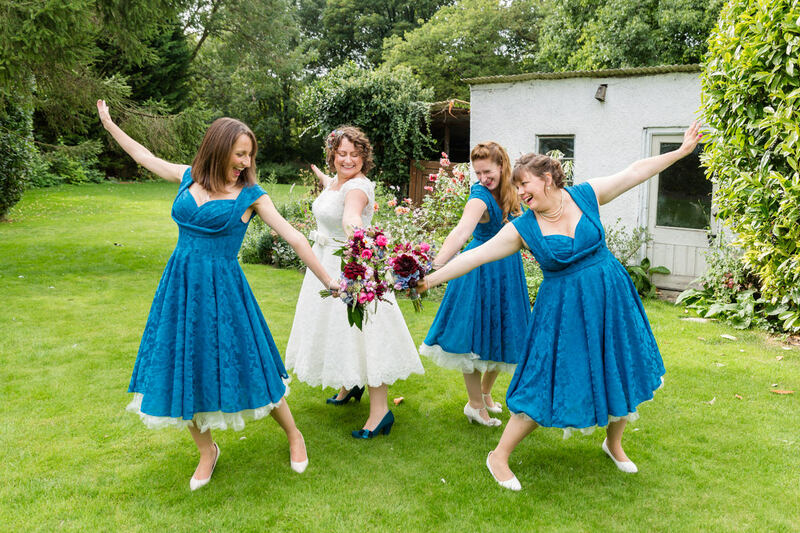 Bombarded with confetti as they headed down the aisle, they enjoyed canapés and drinks followed by relaxed family photographs and couple portraitss in the beautiful gardens. 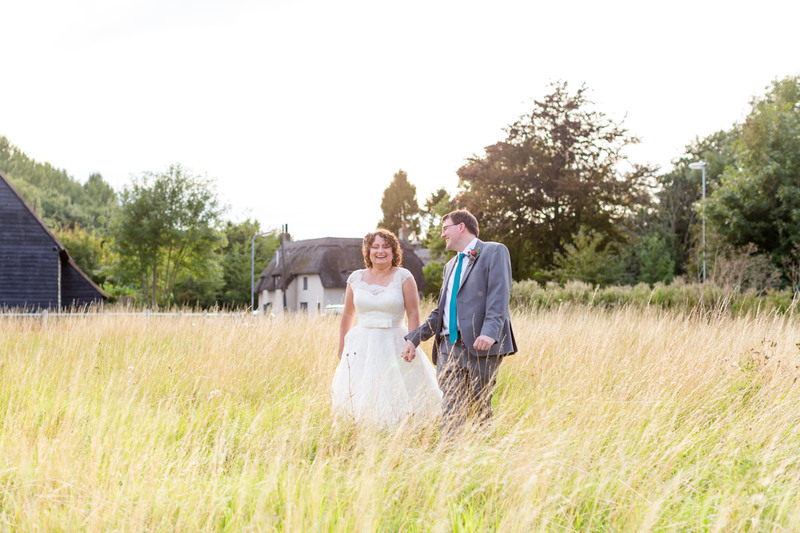 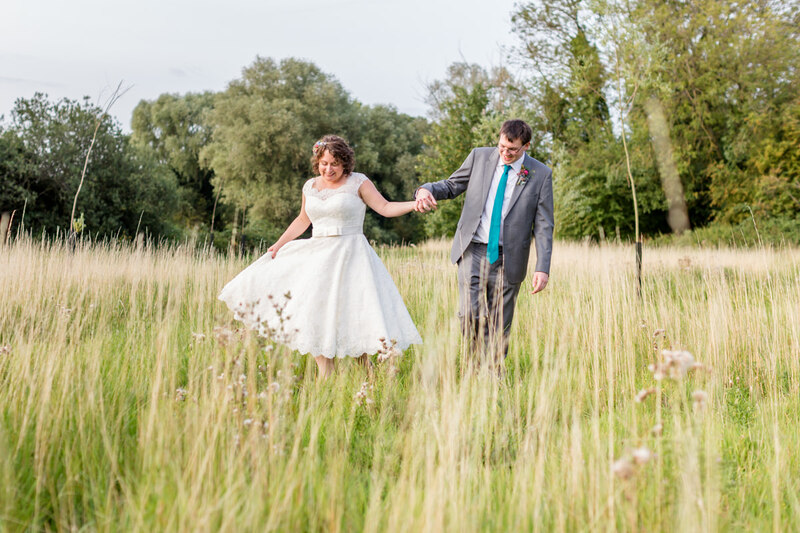 After speeches and the wedding breakfast Helen & Simon headed across the road with me to a beautiful meadow for some golden hour photographs, before returning for their lively first dance. 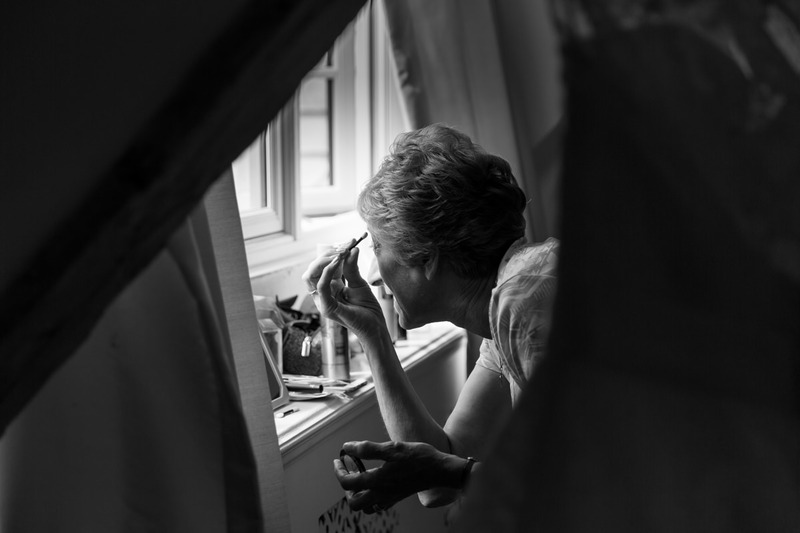 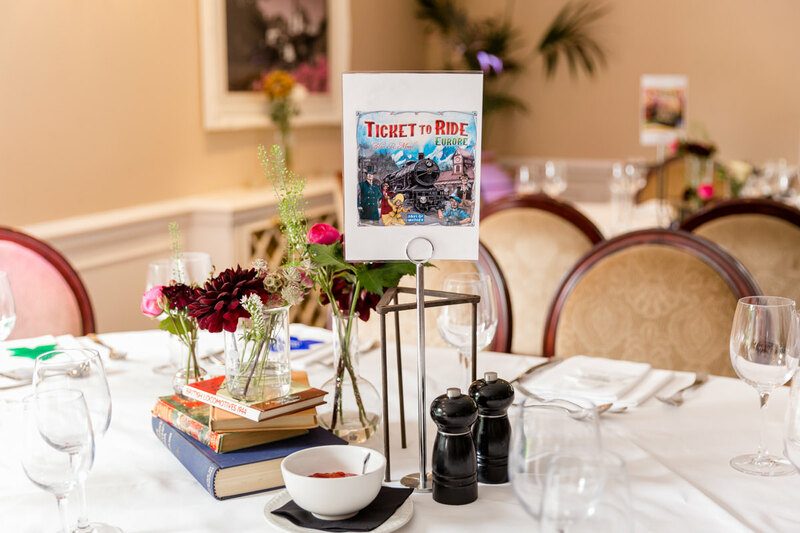 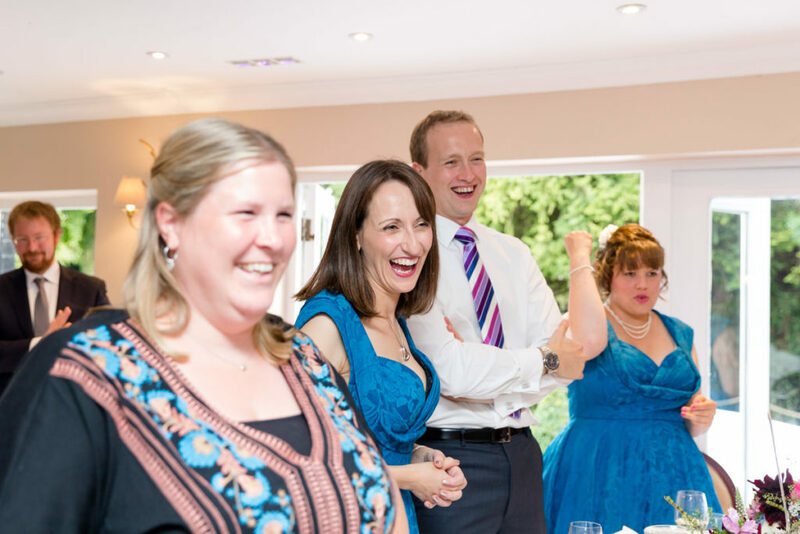 Thank you Helen & Simon for making me such an integral part of your day. 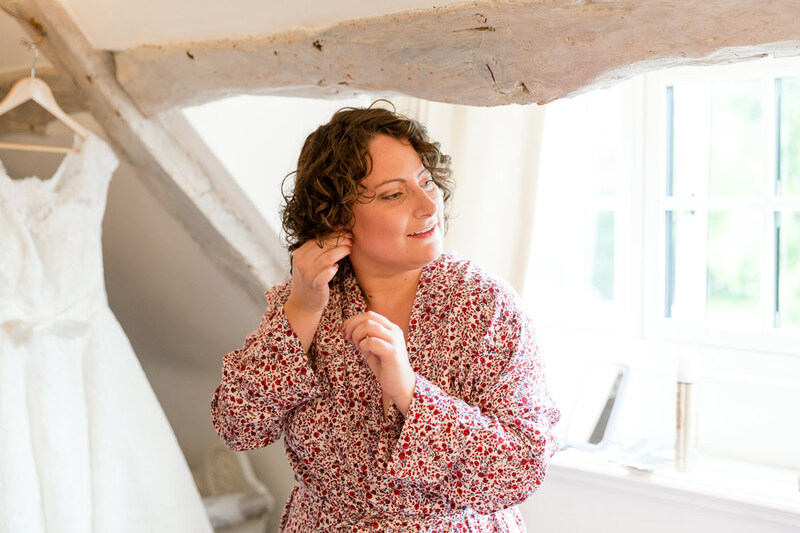 Thanks also to Emma and the team at Sheene Mill for looking after me so well.